Sorry works when a mistake is made, but not when trust is broken. So in life make mistakes but never break trust. 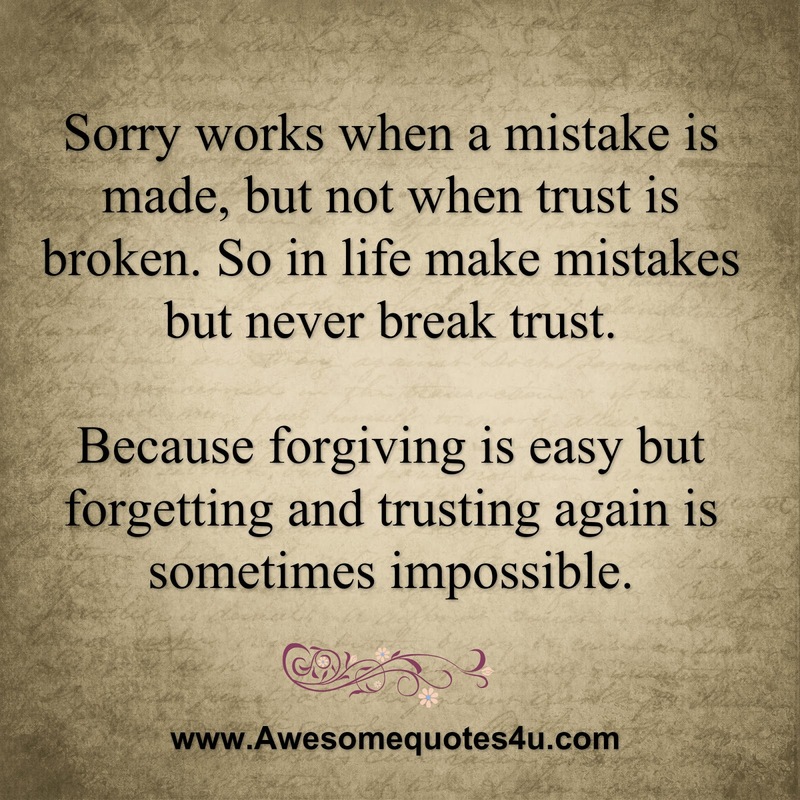 Because forgiving is easy but forgetting and trusting again is sometimes impossible.